The New-Type-Eve has the same gable roof design and frame as the "Eve" unit except it is standard without the boxed overhang. All New-Type-Eves have a rugged Handi-House aluminum door. 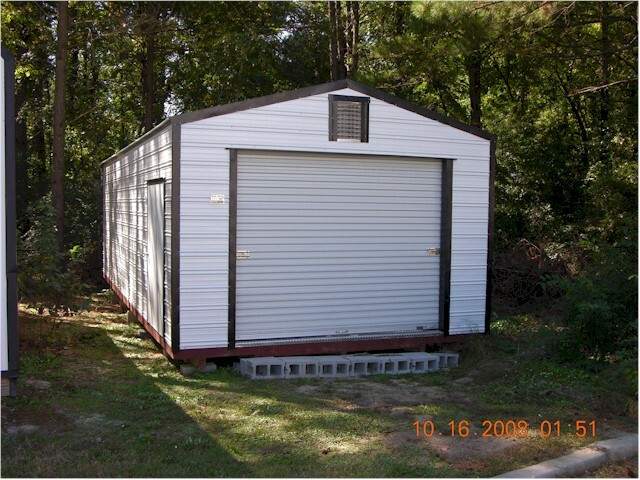 This is our most popular and economical unit. Can also be built as a turn around aluminum roof for the same price.